Did you know that Age-Related Macular Degeneration or AMD, is the leading cause of vision loss in Americans aged 65 or older? Worldwide, AMD is the third among global causes for visual impairment. Based on current trends, it is estimated that more than 288 million people around the world will be affected by the disease by 2040. But the first step in the fight against AMD is bringing attention to how harmful this disease can be. 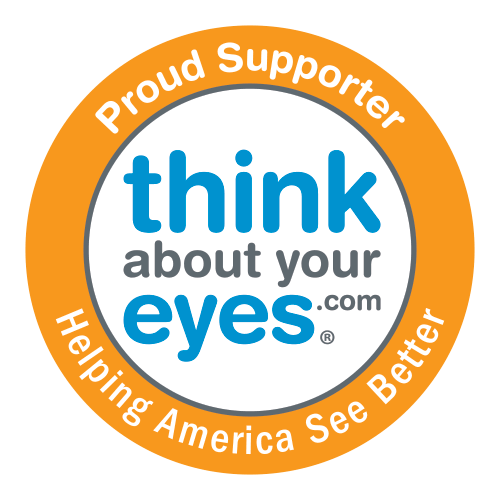 That’s why we’re helping do our part by raising awareness for Age-Related Macular Degeneration. Age-Related Macular Degeneration is a disease that impacts an individual’s retina. The disease comes in two forms, neovascular or wet macular degeneration, and non-neovascular or dry macular degeneration. Wet macular degeneration is diagnosed by abnormal blood vessel growth under the macula, resulting in leaking, scarring, causing permanent damage to retinal cells leading to blindness. Dry macular degeneration is far more common and impacts 85-90% of those diagnosed with AMD. Light sensitive cells in macula begin to slowly deteriorate resulting in blurred vision. While it can lead to the loss of vision in one eye, it commonly impairs both eyes and in some cases can develop into wet macular degeneration. Age is certainly a factor in the onset of AMD, with the disease most prevalent among individuals older than 60. However, diet and exercise, genetics, high blood pressure, and smoking are also common risk factors for the disease. To reduce the chances of acquiring the disease, it’s important to take preventative measures that include healthy lifestyle choices such as regular activity, avoiding tobacco products and clean eating. Because AMD often develops slowly over time, it’s important to detect the disease early in order to avoid permanent damage. Early signs of the disease include blurred vision, difficulty reading or seeing faces, and the appearance of drusen. Drusen are small yellow or white deposits that appear under the retina and their appearance in large quantities is one of the most noticeable signs of the disease. Regular visits to your optometrist can help detect any early signs that may appear. To detect AMD, they can administer an Amsler grid test, fluorescein angiogram or conduct an optical coherence tomography to look for signs of the disease. If detected, nutritional supplements can help slow the effects of early stages of the disease while medication or laser surgery may be used in more severe cases. Through early detection and treatment, you can significantly reduce the chances of permanent vision loss. What Can You Do to Raise Awareness? While there’s no cure for AMD, raising awareness of the importance of early detection is an important part of minimizing the impact of the disease. At R&D Optical Lab, eye health is an important issue. If you’re looking for stylish and trendy ways to protect your or your clients’ eyes, contact us today or call us at 513-273-4034.